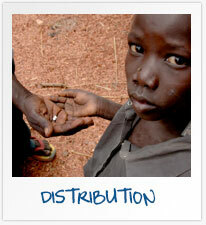 Hope and Healing International distributes Mectizan in South Sudan and the Democratic Republic of Congo (DRC). 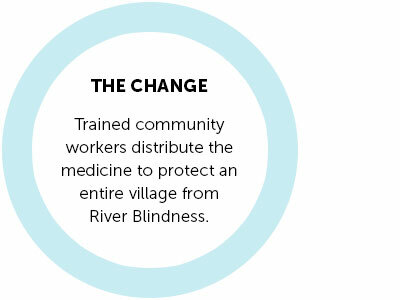 Every dollar you give to fight River Blindness will become $6 worth of sight-saving medicine. All 30 River Blindness affected countries are being treated through a coalition spearheaded by the World Health Organization. 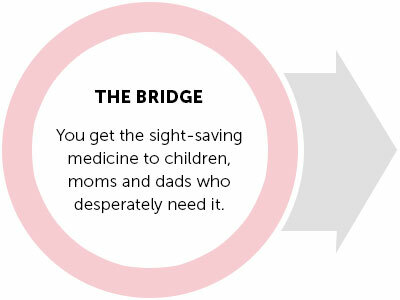 Hope and Healing International is working with our partners to treat more than 16 million people with sight-saving, life-restoring Mectizan® each year. 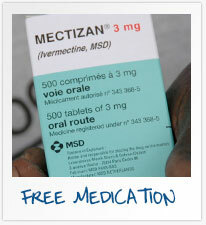 By giving every person in an infected community Mectizan® for 10-15 years, we can ensure that no adult worms and larvae are left alive. 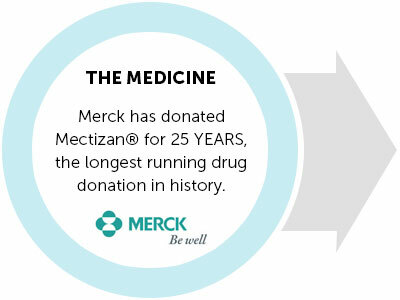 We couldn’t do it without the great generosity of Merck and Co, without the cooperation of local Ministries of Health and without the dedication of local men and women, providing the frontline resources.